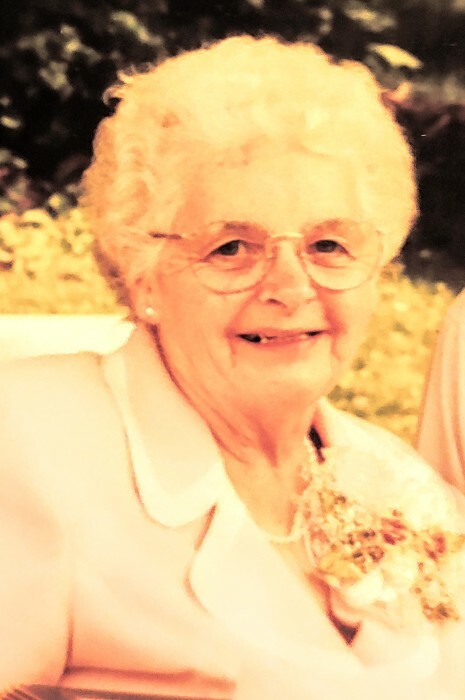 OGDENSBURG-A Funeral Service for Eileen C. Dawley, 87, of Ogdensburg will be held on Saturday, December 1, 2018, at 11 A.M. at the LaRue & Pitcher Funeral Home with Rev. Walter Smith officiating. Calling hours will be held on Friday, November 30, 2018, from 5-7pm, at the funeral home. Burial will be held in the spring at the Lisbon White Church Cemetery. Mrs. Dawley passed away at St. Joseph’s Nursing Home on Wednesday morning, November 28, 2018, surrounded by her family. Eileen C. Dawley was born on November 4, 1931, in Ogdensburg, she was the daughter of the late Alfred and Vina (Smithers) Briere. She attended St. Mary’s Academy. On June 16, 1950, she married Kenneth Dawley at the First Congregational Church of Ogdensburg. After 51 years of marriage, Kenneth died in 2001. Eileen was a member of the First Congregational United Church of Christ in Lisbon, she loved her cats and dogs dearly, she enjoyed knitting and traveling with her husband to many destinations around the country and world through his tractor business. Most of all she loved spending time with her children and grandchildren and great-grandchildren. She is survived by her children; Sue Nichols and her husband Terry of Adams, NY, Donald Dawley and his wife Dee of Ogdensburg, Sandy Dutton of Lisbon, Shelly (Michele) Dawley and her companion Peter Mazzella of Ogdensburg, Kim Adams and her husband Randy of Lisbon and Lisa Toole and her husband Tom of Ogdensburg. She is survived by 15 grandchildren, 23 great-grandchildren, and 1 great-greatgrandchild as well as many nieces, nephews, and cousins. She is also survived by her sister Mary Margaret Collie of Utica. She was predeceased by her parents, her husband Kenneth Dawley, her brother Alfred Briere, her grandson Benjamin Dawley and her son-in-law Tom Dutton. In lieu of flowers, the family requests that expressions of sympathy take the form of a donation to the St. Lawrence Valley SPCA 6718 State Route 68 Ogdensburg, NY 13669.